South Coast Journeys is privately owned, family-run business and will be insured for up to $20,000,000 for Public Liability insurance. We have undertaken the Bus Operator’s Accreditation Scheme through the NSW Government’s Roads Maritime Service, so you can be assured that the bus you ride in is maintained to the highest standards and well presented. Your Tour Guide, Hamish Tucker, has the following training and licenses that ensure a high safety standard and excellent procedures in we do. 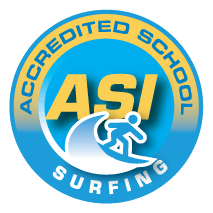 We are an Academy of Surf Instructors (ASI) recognised Surf School. ASI is the world’s leading professional membership training, education and accreditation organisation, catering for career instructors and commercial school operators in the adventure sports industry of surfing, stand up paddle and bodyboarding activities. With offices in Australia, UK, USA, Bali and the Philippines, ASI accreditation sets the international standard. It is the mark of high professional competence recognised and sought after by employers and the general public. We have both an Emergency Response Management Plans and a Risk Management Strategies in place for each of the key locations we visit on tour. These detail how we mitigate risk and respond to emergencies while driving, surfing, bush walking, swimming, etc. We carry a first aid kit in our vehicles, as well as on the guide’s person when in remote areas. Your Tour Guide has a NSW Government-issued authorisation to work with children. This is issued after an extensive background check. Snorkelling Instructor Qualifications through Scuba Schools International (SSI) and thus we are an SSI recognised and maintain their high Safety Standards.